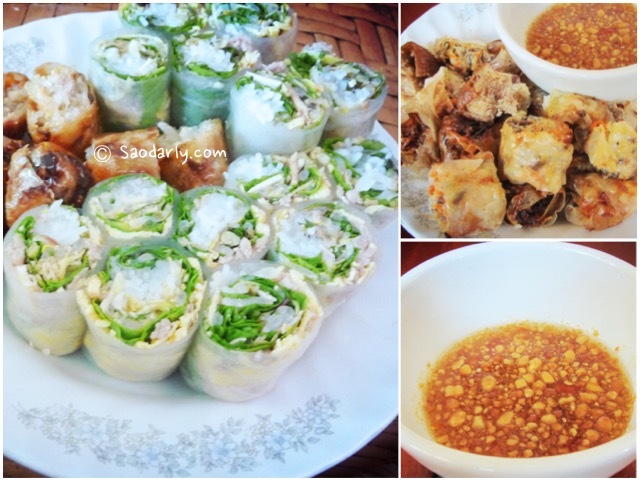 Having Fresh Spring Rolls (Yor Dip ຢໍ່ດິບ; Yor Khow ຢໍ່ຂາວ) and Fried Spring Rolls (Yor Jeun ຢໍ່ຈືນ) for lunch in Vientiane, Laos. 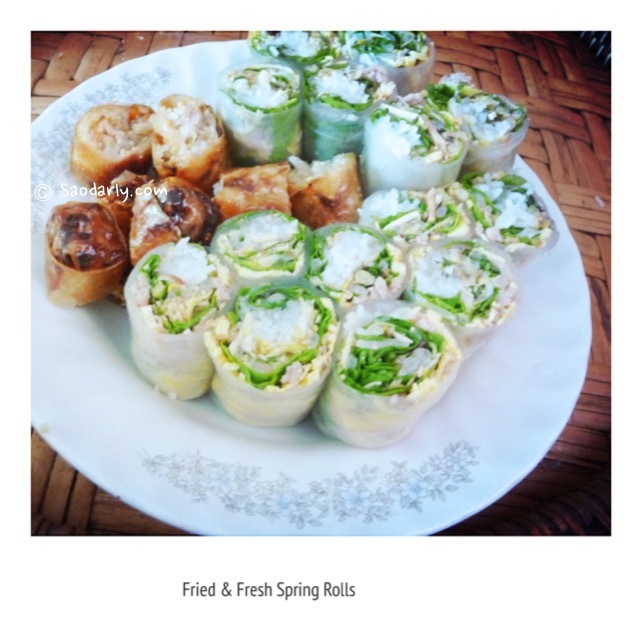 The weather is quite warm around this time of year and having Fresh Spring Rolls is not too heavy on the stomach. 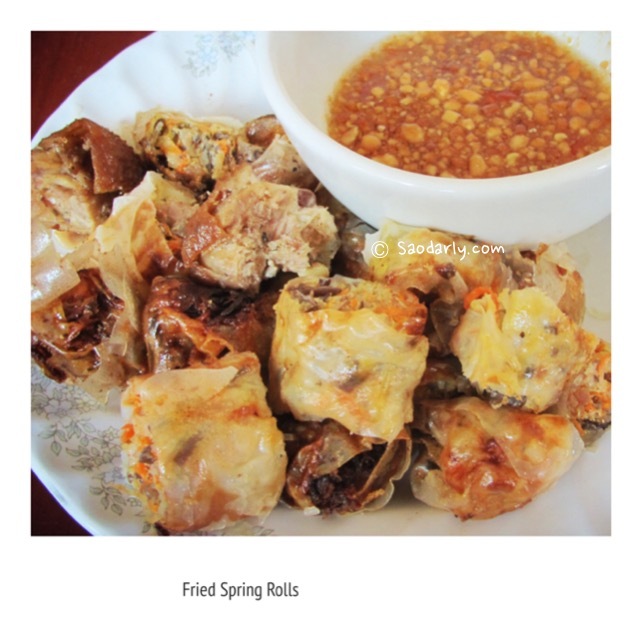 To please everyone in the family, my aunt made a fried version of the spring rolls for those that are fond of greasy food. I prefer Yor Dip rather than Jor Jeun. 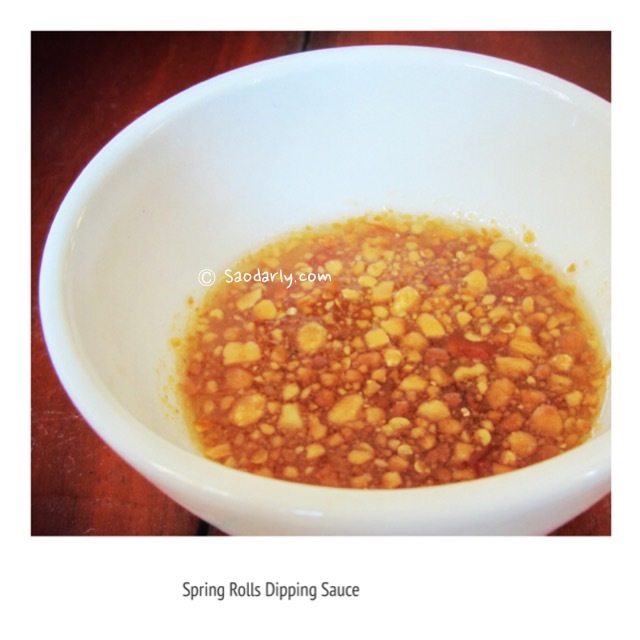 It’s refreshing on a warm day with sweet and sour peanut dipping sauce.